Cook oats with almond milk in the microwave for 2-3 minutes, stirring occasionally, until oats are cooked through. If some liquid remains, cover and let sit for 2-3 minutes. Stir in protein powder, extracts, salt, cashew butter (optional), and sprinkles (optional). 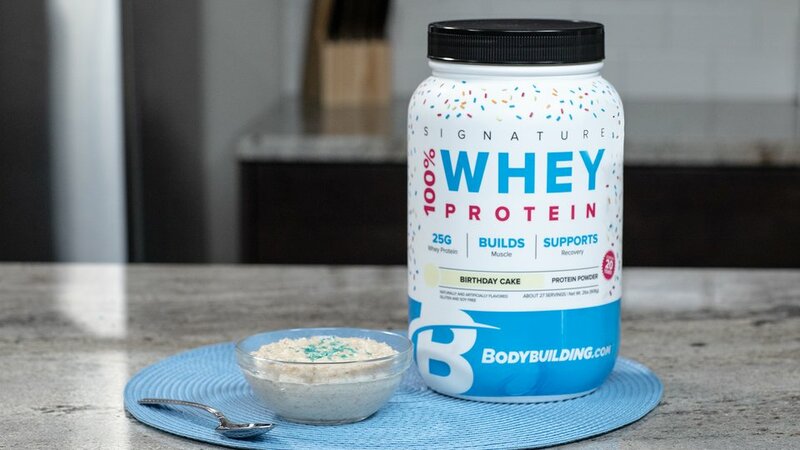 Serve with your favorite toppings: chopped Signature Birthday Cake Protein Crunch Bar, light whipped topping, fruit, white chocolate chips—your choice!